Your Blood Institute is partnering with a start-up drug company to provide mesenchymal stromal cells (MSCs) for age-related disease research. Researchers currently need individuals willing to donate bone marrow. A Florida-based research firm focused on combating aging and age-related disease is conducting clinical trials that center on the collection of MSCs, extracted from bone marrow. 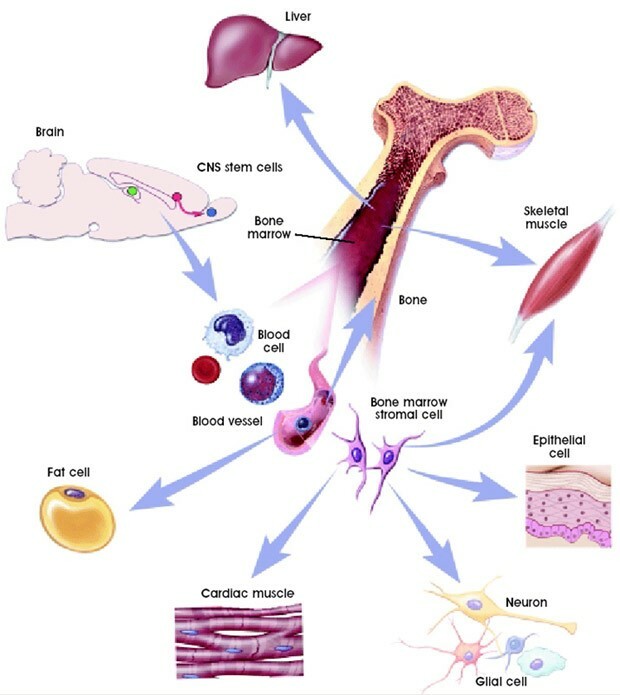 MSCs are a type of stem cell found in bone marrow that have the ability to transform into different bone or tissue types within the body. Potential participants should be between the ages of 18 and 45, non-smokers, in good health, and weigh less than 250 pounds. Donors should live in the Oklahoma City metro area. Please note that the procedure will occur at an outpatient surgery center in Oklahoma City and pain will feel similar to falling and bruising your hip. Participants are eligible to receive $500 in compensation. If you're interested, please make sure you complete your BioProfile on the Bio-Linked website, and mark "Bone Marrow" under your donation preferences. Bio-Linked™ will use the information in completed profiles to determine if a potential participant meets the requirements for the research study. Bio-Linked™ will contact you with potential research opportunities. Through Bio-Linked™ and Bio-Sharing™, participating blood centers provide the blood cells necessary to support breakthrough studies could lead to new treatments and cures. CROMWELL, Conn.--(BUSINESS WIRE)--Biological Industries USA (BI-USA), a division of Biological Industries Beit Haemek Israel (BI) and providers of premium cGMP cell culture media and media manufacturing services to the academic, biotech, and pharmaceutical industries, announces the initial winners of its MSC Research Award, which was unveiled in January. The winners are scientists advancing the fields of cellular therapy and mesenchymal stem/stromal cell (MSC)-based research. The awards, totaling over $65,000 worth of BI-USA products and services, will fund studies aimed at creating xeno-free cGMP MSC Master Cell Banks, isolating and expanding MSCs from novel sources, manufacturing MSCs with increased immunomodulatory efficacy, and modifying MSCs to improve their ability to avoid immune cell attack and eventual rejection after transplantation. The award recipients for the current round of funding include: Darren Hickerson, MS, MDiv, Associate Director of Manufacturing, Wake Forest Institute for Regenerative Medicine (WFIRM); Jennifer Chain, PhD, Science Officer for Cellular Therapies, Oklahoma Blood Institute; James Ankrum, PhD, Assistant Professor, Biomedical Engineering, University of Iowa; and Yan Li, MD, Project Staff, Cleveland Clinic. Biological Industries (www.bioind.com) is one of the world’s leading and trusted suppliers to the life sciences industry, with over 35 years’ experience in cell culture media development and GMP manufacturing. 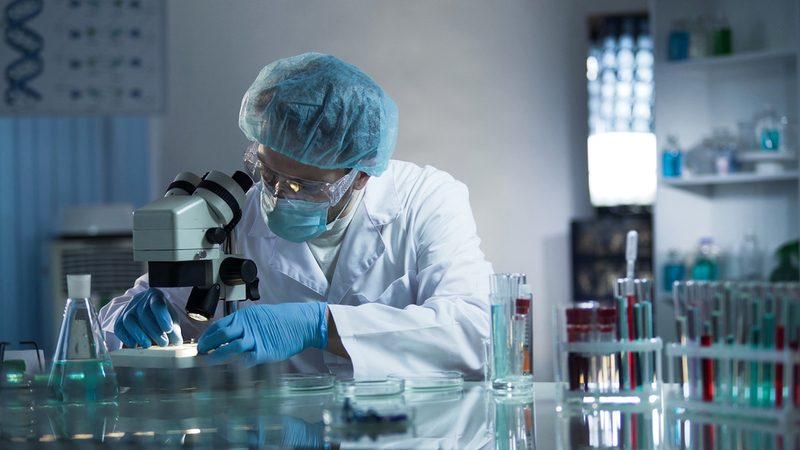 BI’s products range from classical cell culture media, to supplements and reagents for stem cell research and cell therapy applications, to serum and serum-free media products. BI is committed to a Culture of Excellence through advanced manufacturing and quality-control systems, regulatory expertise, in-depth market knowledge, and extensive technical customer-support, training, and R&D capabilities. Biological Industries USA (www.bioindusa.com) is the US commercialization arm of BI, with facilities in Cromwell, Connecticut. Members of the BI-USA team share expertise and a history of innovation and success in the development of leading-edge technologies in stem cell research, cellular reprogramming, and regenerative medicine. To receive ongoing BI communications, please join the email list or connect with the company at www.bioindusa.com. 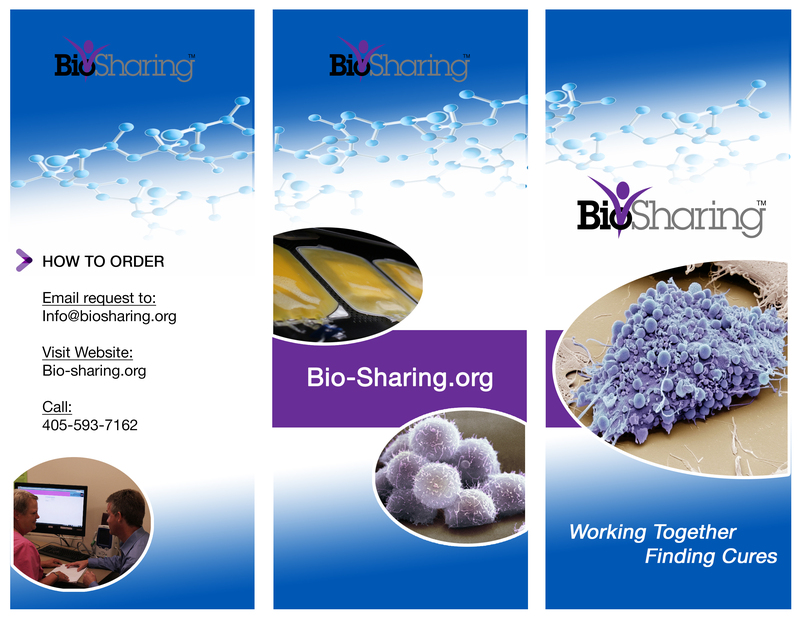 This newly released brochure details just some of the products and unique services we provide through Bio-Sharing.org. A researcher's needs can also be customized. Hematopoietic progenitor cells (HPCs) are stem cells that develop into all the cells circulating in the blood—both red and white blood cell types. Red blood cells carry oxygen from the lungs to all the tissues of the body. White blood cells make up the body’s immune system to defend against bacteria, viruses, fungi, parasites, and cancer. HPCs are found in the bone marrow. When they receive specific signals from surrounding cells, they can develop into B cells, NK cells, dendritic cells, macrophages, neutrophils, basophils, eosinophils, or megakaryocytes. In some cases, HPCs migrate out of the bone marrow into the blood and to an organ called the thymus, where they develop into T cells. Although HPCs are primarily found in the bone marrow, they can also be found in very small numbers in the blood of adults. The immune system is still under development in newborn babies, therefore, many HPCs can be found in the blood within the umbilical cord (cord blood). HPCs are easily identified by their expression of a molecule on their surface called CD34. This molecule helps the cells attach to surfaces inside the bone marrow, blood vessels, and the thymus. CD34 also helps scientists isolate HPCs from blood and bone marrow to use for stem cell transplants. When a patient needs to replenish their immune system after cancer treatment, they will receive a stem cell transplant. These transplants contain HPCs from themselves (if obtained before chemotherapy treatment) or from a typed-matched donor. Historically, only whole bone marrow containing HPCs was used for transplant. 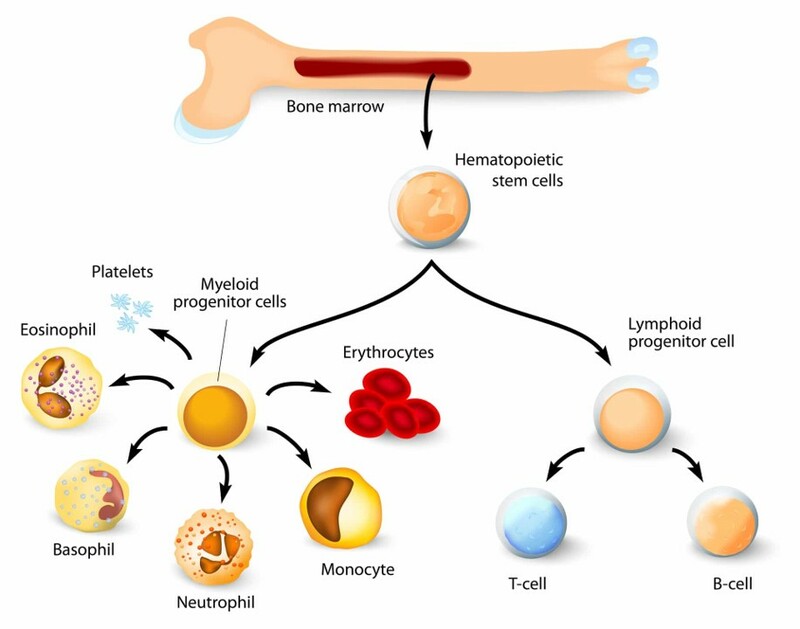 Significant advances have been made to the standard bone marrow transplantation technique. First, a drug called Filgrastim is used to stimulate the HPCs to come out of the bone marrow and into the blood. In this case, HPC-rich blood is collected and transplanted. Also, cord blood donated by mothers following the birth of their children is also becoming a reliable source of HPCs for transplant. Since scientists can isolate HPCs by the CD34 molecule on their surface, studies are underway to test the safety and efficacy of transplanting only the HPCs and none of the other immune cells found in the blood and bone marrow. Oklahoma Blood Institute is assisting in all areas of stem cell transplantation. Oklahoma Blood Institute collects HPC-rich blood products for the National Marrow Donor Program, which is used for typed-match stem cell transplants. Oklahoma Blood Institute is also establishing the first public cord blood bank in Oklahoma to provide another needed source of HPCs for stem cell transplants. It is also participating in a national clinical trial to isolate CD34+ HPCs to be used for transplantation. In addition to collecting and processing clinical products to be used for stem cell transplants, we are also collecting and processing HPC-rich blood and bone marrow for research projects. Oklahoma Blood Institute is currently recruiting donors for these research projects. If you would like to participate in research by donating blood or bone marrow, sign up at Bio-Linked.org. OKLAHOMA CITY — The Oklahoma Medical Research Foundation and the Oklahoma Blood Institute have joined forces to combat rheumatoid arthritis. The institutes will utilize OBI’s new software system, Bio-Linked, to match willing blood donors with researchers at OMRF to build a volunteer group for StopRA, an innovative U.S.-based prevention trial for rheumatoid arthritis, which is funded by the National Institute of Allergy and Infectious Diseases, part of the National Institutes of Health, through their Autoimmunity Centers of Excellence program. OBI’s Bio-Linked initiative has made this early screening possible. Unveiled in late 2016, Bio-Linked is a unique software system in which OBI’s generous blood donors are matched with medical research projects like StopRA. This partnership allows blood donors to sign up to have some of their extra serum submitted as blinded or de-identified samples to be tested for specific antibodies associated with RA. If they test positive for the CCP antibody, OMRF will contact OBI, who will reach out to the donors with more information about the study. In the first 6 weeks of the new arrangement between OBI and OMRF, more than 3,000 people agreed to have their blood tested for the anti-CCP antibody. Out of that group, about 40 people had the risk factor and were contacted by OBI. Nearly all of them subsequently contacted OMRF to inquire about the trial. James said the goal of the trial is to assess whether early treatment can prevent these individuals from ever becoming RA patients. Coming off the promising initial response, OMRF and OBI are working to secure funding for another round of screening. If you are interested in participating in StopRA or would like more information, please call (405) 271-7221 or email Virginia-roberts@omrf.org. For more information on OBI’s Bio-Linked initiative, visit Bio-Linked.org. OMRF (omrf.org) is an independent, nonprofit biomedical research institute dedicated to understanding and developing more effective treatments for human diseases. Its scientists focus on such critical research areas as cancer, diseases of aging, lupus and cardiovascular disease. Oklahoma Blood Institute is a non-profit, independent blood center now serving more than 160 hospitals, medical facilities and air ambulances throughout Oklahoma. Copyright © 2017 Oklahoma Medical Research Foundation, All rights reserved. Bio-Linked is groundbreaking software developed exclusively by Oklahoma Blood Institute that matches extraordinary people with the nation’s most promising medical research. 16,000 clinical studies are occurring daily, but progress is delayed when scientists cannot locate willing participants. 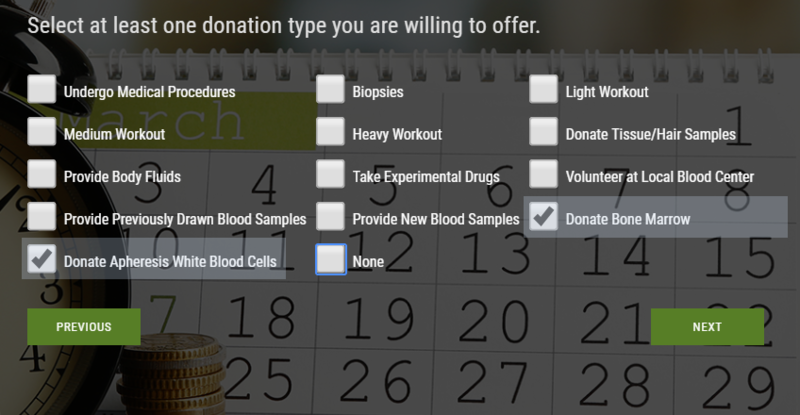 Built from a network of blood collectors, Bio-Linked provides scientists with a unique database of potential participants. Using their donor identification number with their blood center, blood donors enroll in Bio-Linked online. Bio-Linked contacts enrollees if they’re a match for a study, which may involve blood samples or voluntary participation. All information is kept entirely confidential. As one of the nation’s premier blood centers, Oklahoma Blood Institute is proud to introduce Bio-Linked and provide new hope for people battling serious illness. Dr. Jennifer Chain’s twenty-year career in scientific research has spanned academia, biotechnology industry, consulting, and non-profit. 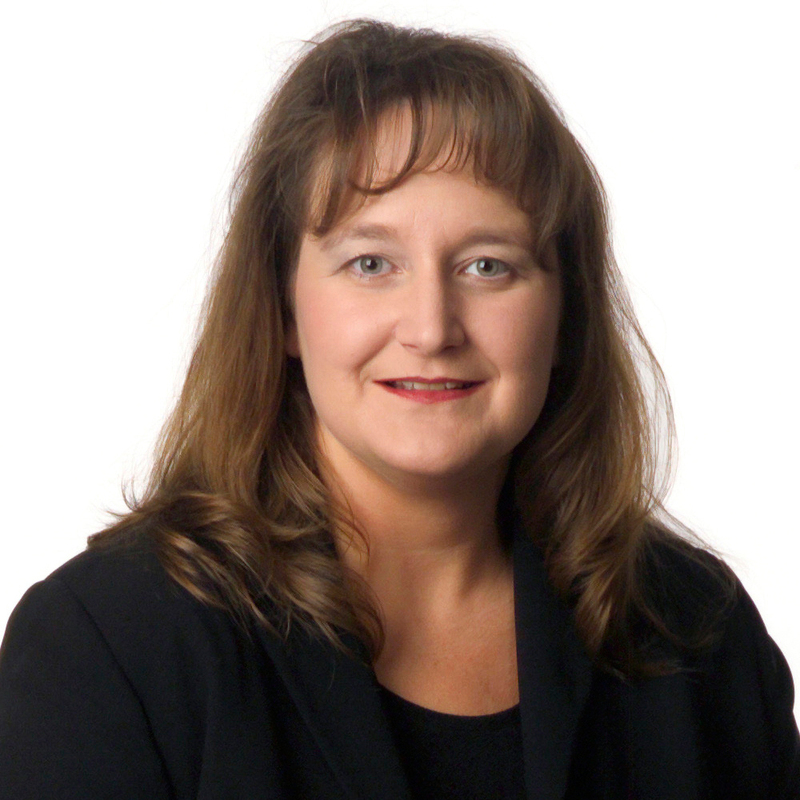 Beginning in 1998, Jennifer worked as research technician at the Oklahoma Medical Research Foundation (OMRF) and as undergraduate intern for the Howard Hughes Medical Institute in 1999. She began her graduate work in 2000 at the University of Oklahoma Health Sciences Center studying human αβ and γδ thymocyte developmental checkpoints. In early 2006, Dr. Chain began her postdoctoral fellowships in Denver, Colorado; first at National Jewish Health where she studied γδ T cell activation and function, then at the University of Colorado Denver studying CD4 memory T cell senescence in clinical and autoimmune lung disorders. In 2014 she followed her postdoctoral fellowships with an industry experience at a diagnostic testing company in Oklahoma called Moleculera Labs. There she studied biomarkers in autoimmune neuropsychiatric disorders. Common themes running through all of Dr. Chain’s early career research experiences were cellular and molecular immunology, new method development, and technical optimization. She designed and utilized advanced molecular biology, cell culture, flow cytometry, and other techniques to build the scientific tools needed for her projects. To apply and expand on her diverse skill set, Dr. Chain started her own R&D consulting firm in 2016 called Experimental Solutions to help scientists advance their research and product development goals. 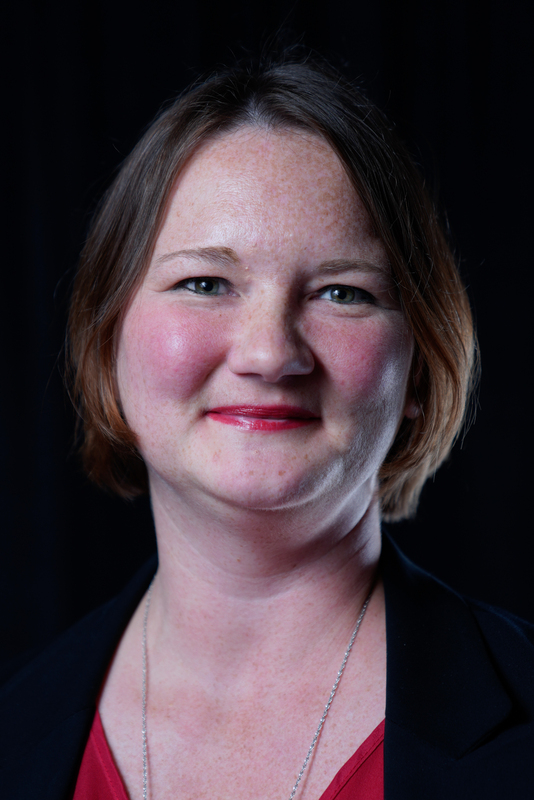 As a consultant, she helped clients design, perform, and analyze experiments, train staff, manage projects, and write procedures, publications, grant applications, and marketing documents. Dr. Chain now serves as the Science Officer for Cellular Therapies at the Oklahoma Blood Institute (OBI). Through the organization’s Bio-Development division, she is starting a stem cell and cell therapy research and development program, which is a continuation of the consulting work she provided OBI for over one year as a consultant before this appointment. For more than 75 years, community-based blood centers have provided safe blood products to hospitals for the treatment of patients in need. During this time, our specialized infrastructure, knowledge, and skill set has allowed us to successfully recruit and screen consenting donors; then to collect, test, characterize, store, distribute, and infuse our blood-based pharmaceutical products. 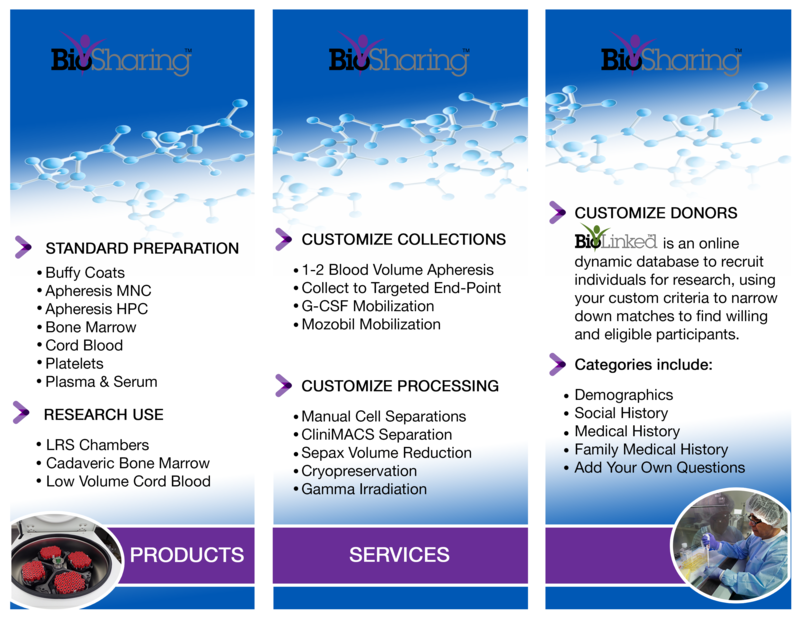 Bio-Sharing is a partnership between this community of blood centers. We are teaming up together to grow and expand our mission to collect and provide safe blood products for patient care by offering customized, reliable, and scalable cellular products for use in the research, development, and manufacture of your blood-based therapy. When you visit Bio-Sharing.org, you will be able to request a whole host of products and services from this wide network of blood centers. These products and services include, but are not limited to, purified T lymphocytes, dendritic cells, hematopoietic stem cells, mesenchymal stromal cells, serum, plasma, customized flow cytometry assays, HLA-typing, large-scale cGMP-compliant cell processing and expansion, and expertise in quality control and regulatory compliance. You will also have access to a database of willing research participants, through Bio-Linked.org, with information about their personal and family medical and social history to help you find the right subjects for your research or clinical studies. There is also an option for customized questions that can be asked of the database members to further narrow down the right subjects. Access to these products and services will help control the development and manufacturing costs of your new therapy and expand the base of research participants to the entire country.